Joyce Black is the Assistant Director of Research and Development at the National Learning and Work Institute (L&W) in the UK. A member of the Institute’s senior management team, she leads on ‘Life and Society’ across the Institute’s Strategic Plan. This includes the work related to adult basic skills, English for Speakers of Other Languages (ESOL), digital learning, citizenship, health and financial capabilities. She also has oversight of the Institute’s Family and Community Learning and Equalities work. She is L&W’s relationship manager for the Department for Education (DfE), overseeing the Institute’s annual programme of research and development activities in agreement with DfE policy leads. 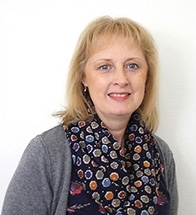 She leads on the Institute’s designated role at the UK National Coordinator for the European Agenda for Adult Learning (EAAL). She is also the designated UK representative on the ET2020 Working Group for Adult Learning. She was first elected to the Executive Board of the Association in Leicester in June 2013 and re-elected to the current Executive Board in Porto in June 2015 – in both periods of office, she was appointed Vice-President following each respective election. I want to contribute to the strategic planning and development of the Association; helping to make the links with current European policy at a national, local and individual level; identifying the synergies between social and economic policies and adult learning and highlighting the positive impact adult learning can and does have in a range of policy arenas including citizenship, democracy, social inclusion, health, employment and skills.